Are local apps like Mail, Spotify, League of Legends and more stopping you from being productive? Let the Focus app block them so you can work without distraction. The problem with most website blockers is that they do not help you block the time-wasting applications on your computer. Instead of taking an extreme approach and deleting them all, Focus can help you block access to all distracting local apps for a set period of time. Put them aside from work, and regain access to them when all your tasks are done. 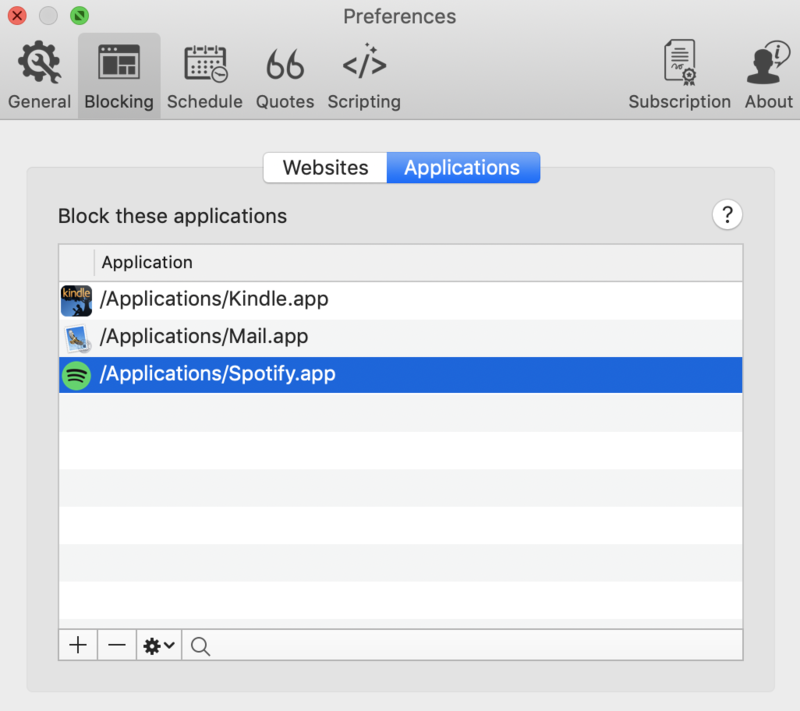 To access the list of local applications that Focus will block when it gets activated, To access this feature, click the Focus menubar icon, click Preferences and then click on the Blocking tab. There are two ways that you can add local applications to the block list. Navigate towards the folder locating the app you want to block (if it does not automatically appear), select the app and it will be added to the list. Whatever your motivations are, you've decided that you no longer need to block yourself from access an app. 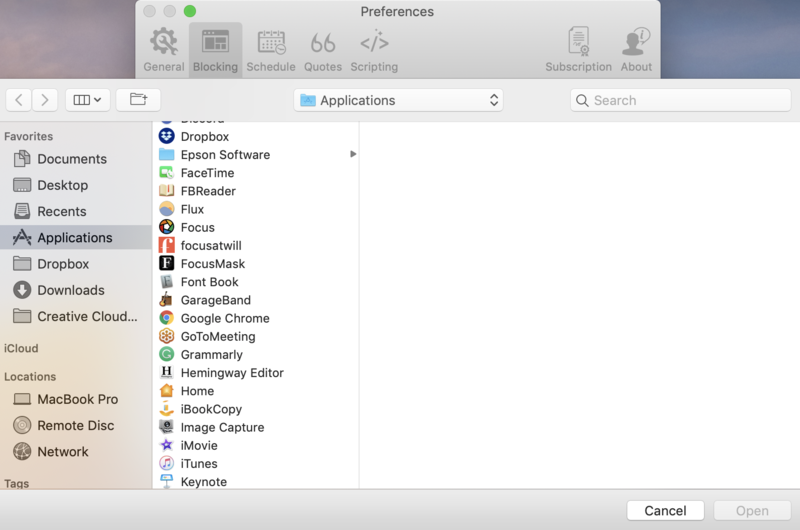 With the Preferences window in Focus still open (under Blocking -> Applications), highlight the app you want to remove and click on the "-" icon. It's that simple! Whether the filename of the app has changed or its location has changed, you can still block it! With the Preferences window in Focus still open (under Blocking -> Applications), remove the listing for the app and then re-add the app to the list with the "+" icon. Use the Finder window that opens to locate the new app and add it to the blacklist.